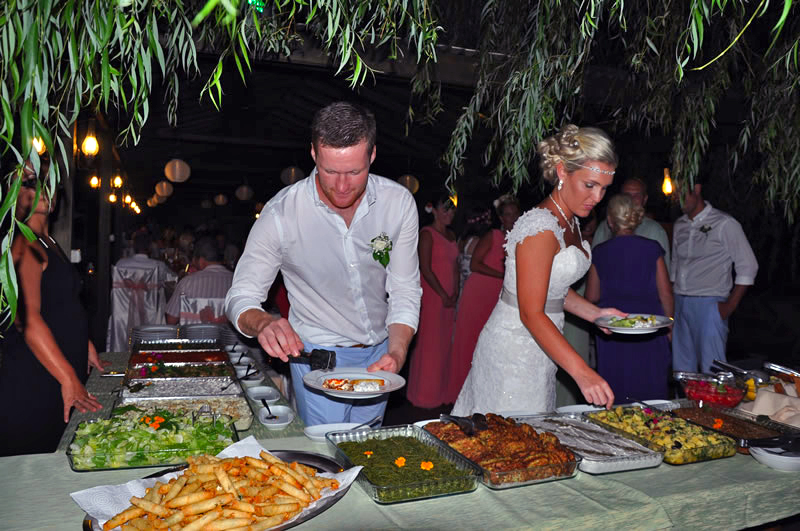 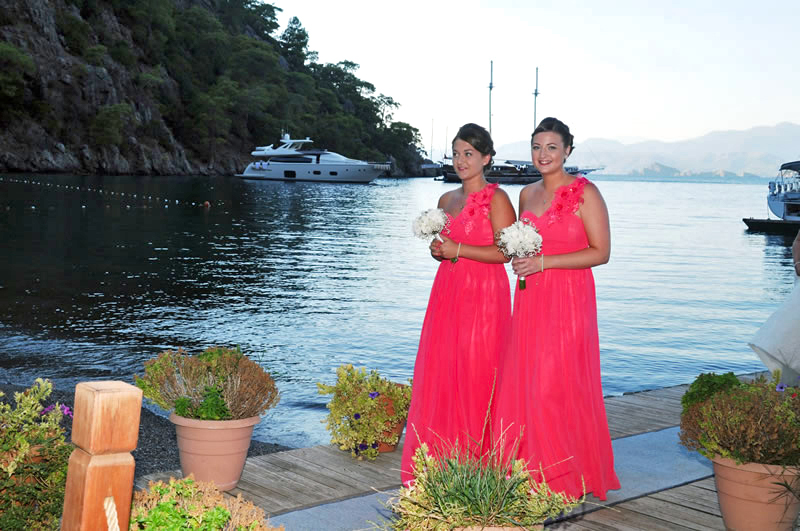 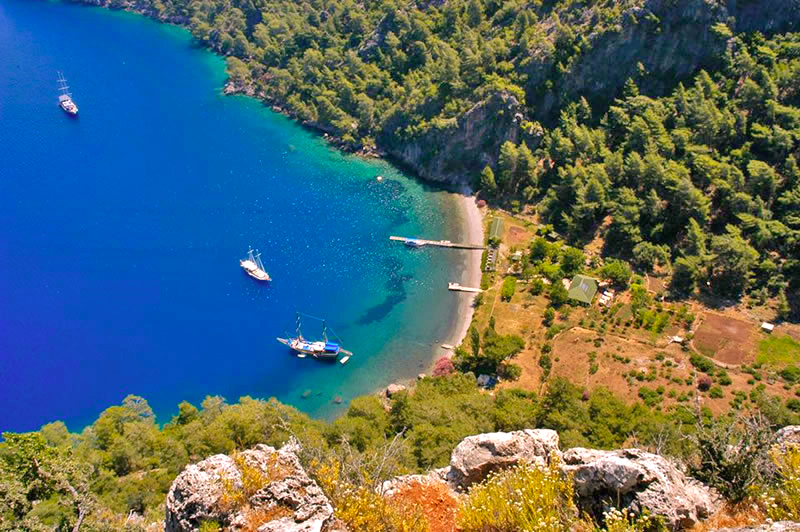 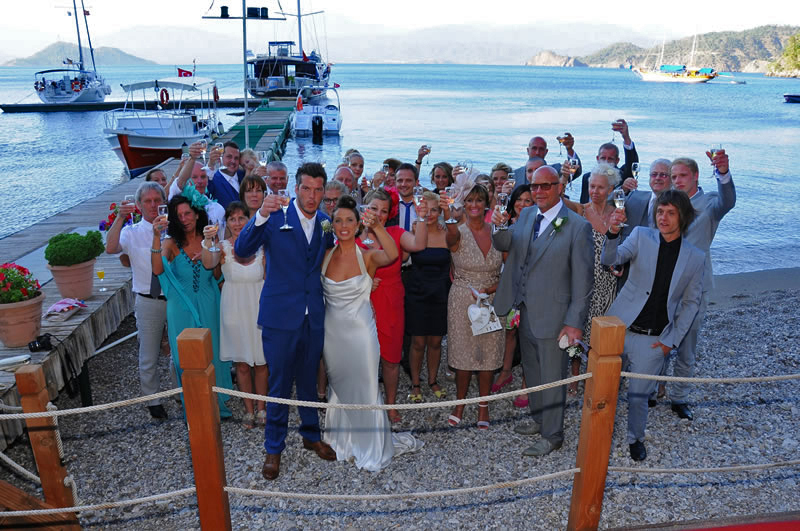 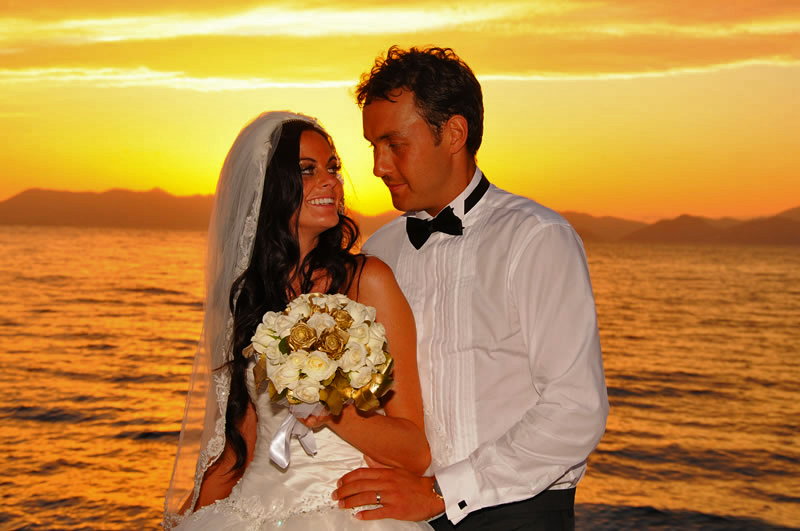 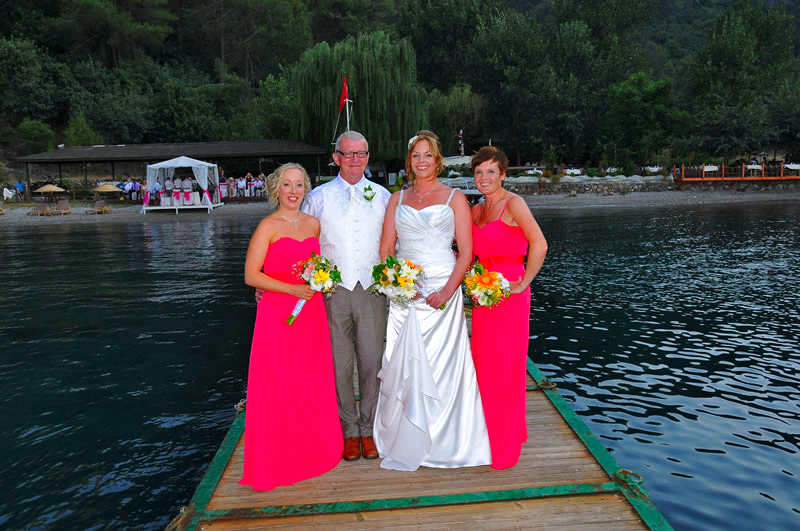 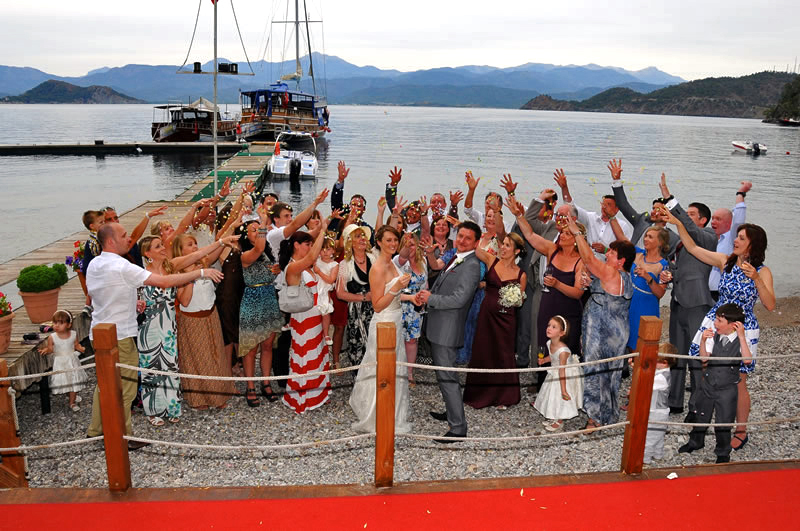 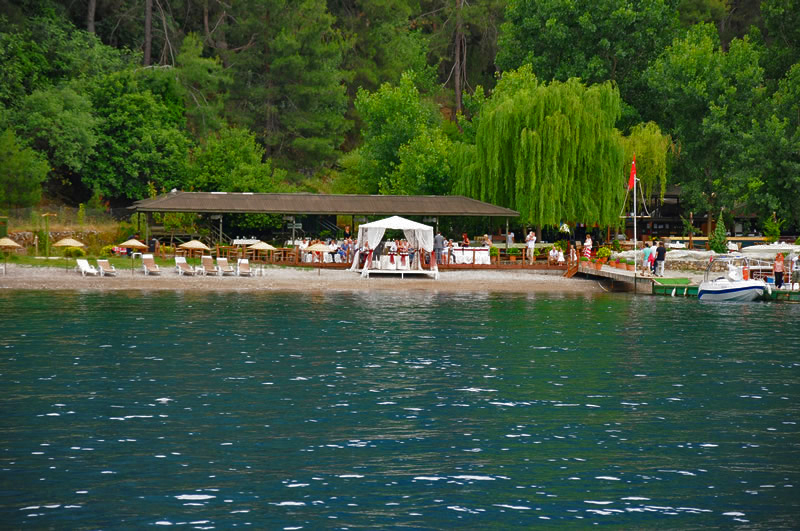 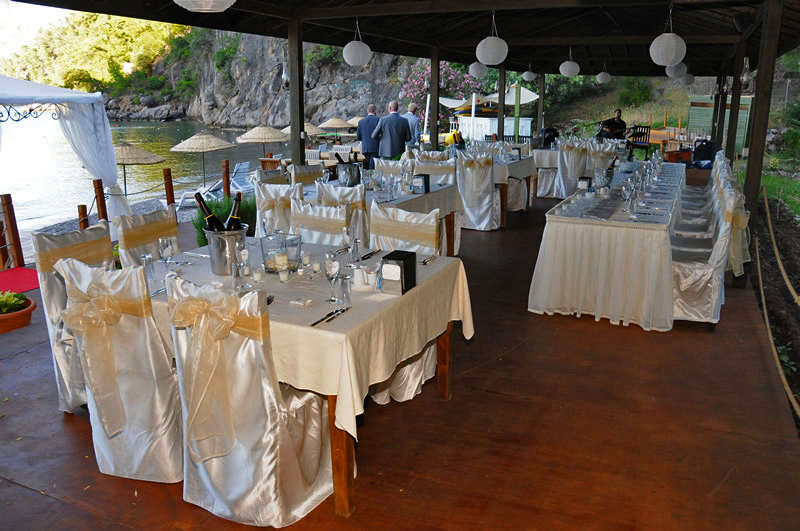 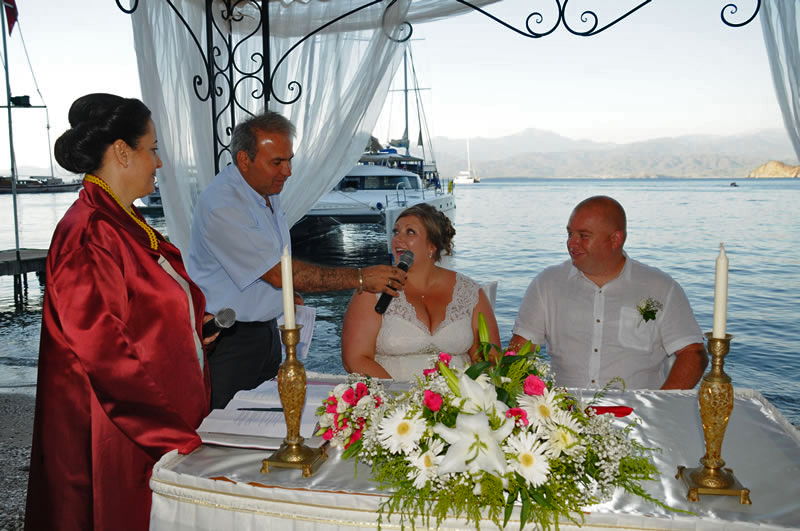 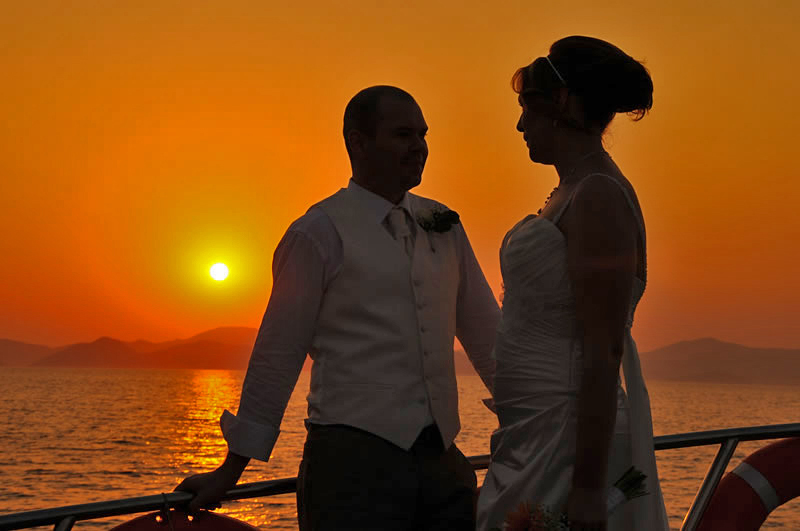 Travelling to the delightful Turunç Bay is only the beginning of this wonderful beach wedding experience. 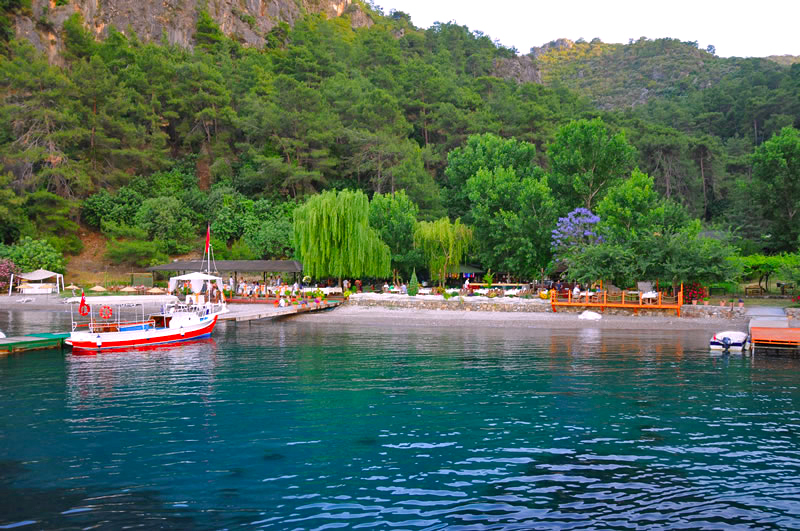 Only accessible by boat, Turunç Bay is a sheltered cove that is protected by steep, towering hills thick with pine forest.The crystal clear waters gently lap on the beach and cicadas fill the air with their hypnotic, incessant thrumming. 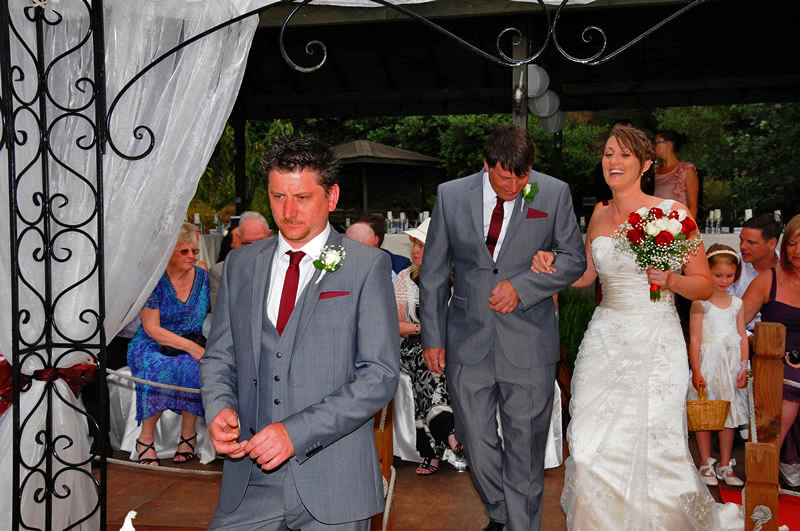 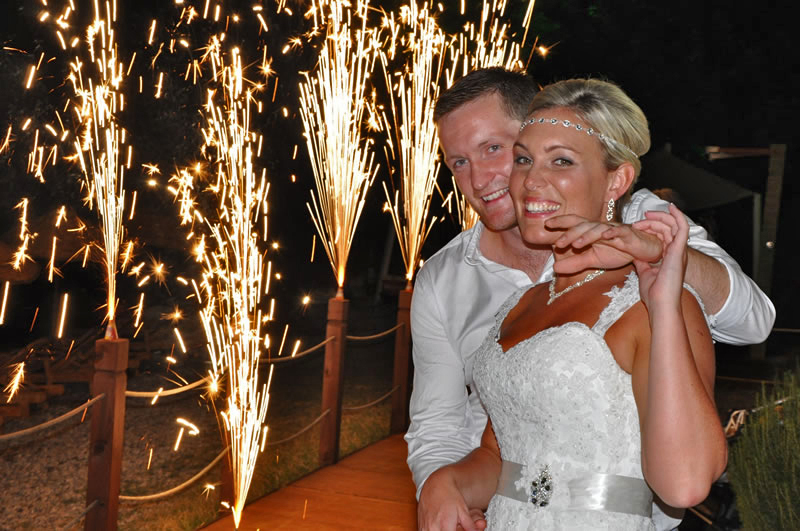 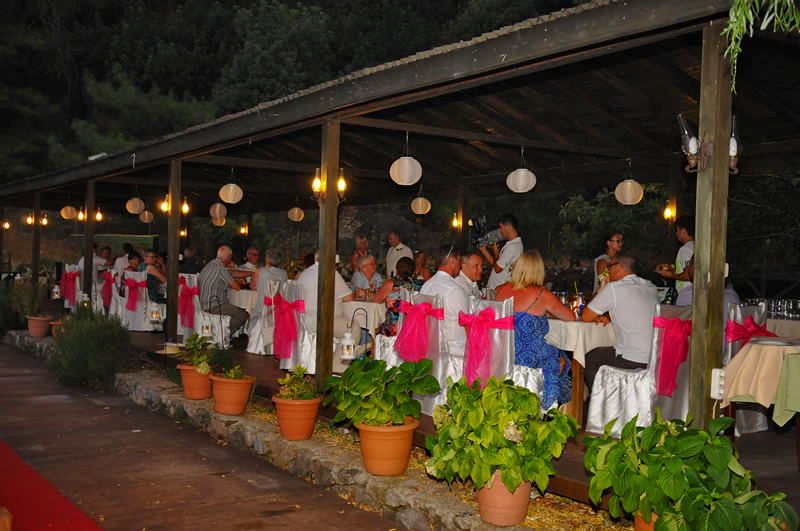 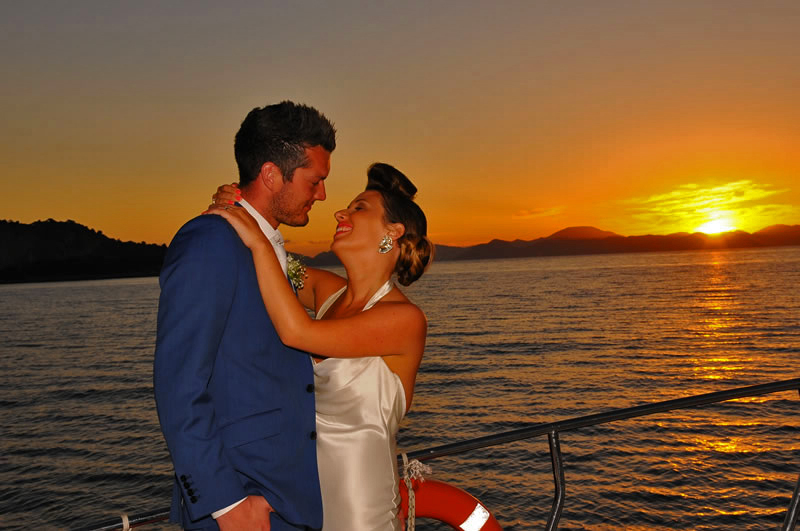 Romantic and a bit different, even adventurous, this is certainly an exceptional venue. 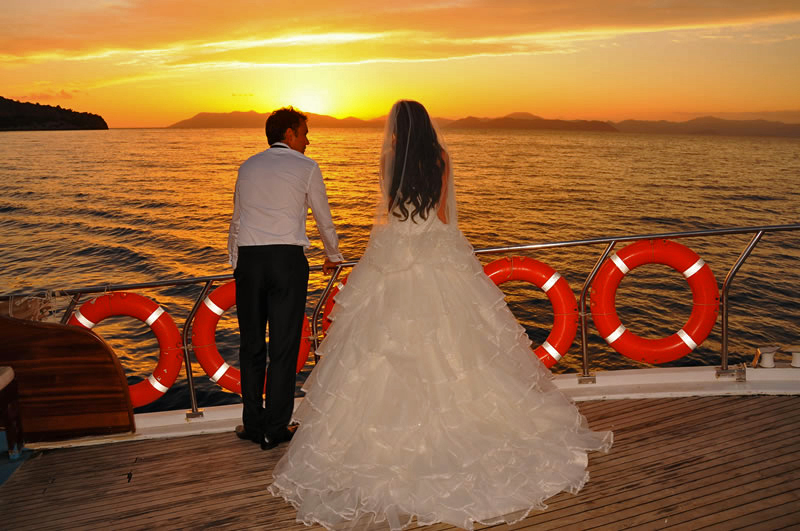 The couple make their vows on the seashore before being taken for a short sunset cruise for photos while the guests have a celebratory drink on the beach. 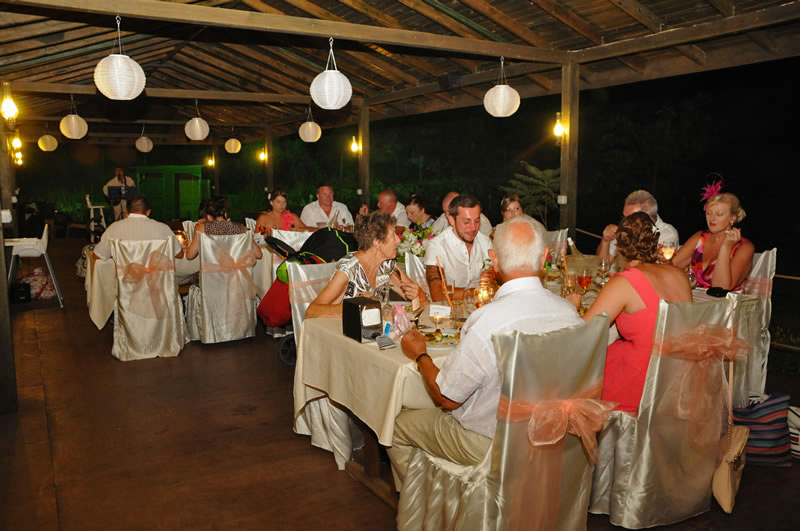 A splendid reception at the excellent family run restaurant is both charming and stylish.